Being the next-door neighbor of a living legend does have its disadvantages but in cases where said neighbour is also a wizard it can result in an amazing friendship with your Obliviator … or rather could result in, if only you could remember them. It was the hardest day George Weasley had had in five years, but it was one of the best days the life of seventy-three year old Danielle Hamilton, the day she took an opportunity she hadn’t believed she would have anymore. Dedicated to PaulaTheProcaryote, who loved Danielle first, and to TreacleTart who is an inspirational taker of awesome oportunities. Written for The Great Collab of 2018-19. Aphrodite's favourite pastime was making people's lives more interesting. Drama, yelling, tears, betrayals and just about anything you can think of accompanied Aphrodite. Her latest victim: a certain one-eared man, and a woman by the name of Angelina. Too bad her life was already as complicated as there's was about to get. In a world of magic, the only thing you should expect is the unexpected. When Angelina and George attempt to save Fred, they learn this first-hand. 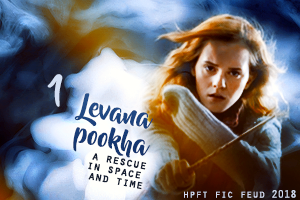 Winner of the 2018 House Cup Challenge Fic Feud. George couldn't believe the nerve of them all. They talked about him as if he were a saint. It was a pathetic disgrace. George visits Angelina for Christmas, just like he does every year. Or is it different this year? Angelina wonders if her husband will ever be whole again. Written for Crimson Quill's "Strong Female" challenge and 800 Words Of Heaven's "Person of Colour" challenge. Angelina Johnson is starting to realize there might be more to people than meets the eye.